Can Cloud Computing Take Your Startup to the Next Level? Let’s start by addressing the security concerns that many businesses have long held with regard to cloud computing. The fact that data is backed-up to the cloud and in many cases stored on servers off-site makes business bosses uneasy, and understandably so. However, the security of third-party data centers is of such paramount importance to the relevant service providers that every conceivable precaution is taken to make sure data is protected. Plus, because data is stored in the cloud, individual devices used to access corporate networks are not as vulnerable as they once were. Thousands of laptops are lost or stolen every month in the US alone, but the issue is much less likely to result in a security breach or significant data loss of any kind because all information is routinely stored elsewhere. The fact that individual professionals can access corporate networks and a host of powerful applications from any device means workforces are in effect being steadily empowered by cloud computing. The benefits of this increased flexibility are being realized across a huge range of industries, with employees able to work from anywhere and on any device as if they were sat at their own desktop. Even simple benefits of virtualized networks and cloud computing like the option for employees to check their work emails or access content management systems on the move can be notably advantageous. A company with a robust and reliable business continuity and disaster recovery strategy is a business built on solid foundations. 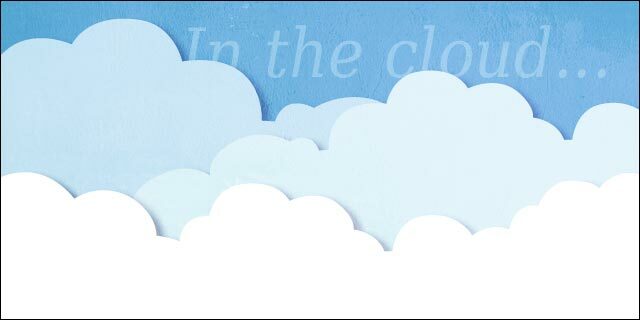 Cloud computing has become a key part of business continuity around the world and for organizations of all kinds. Having key data and IT hardware functionality based on cloud computing opens up scope for rapid response to serious problems and allows businesses get back up and running more speedily in extreme and unpredictable scenarios. Arguably the greatest single advantage that effective deployment of cloud computing solutions can bring is cost efficiency gains. Capital can be deployed with sharp focus and IT architecture improved dramatically at relatively very little expense. Tech Journalist and all round Cyber Nerd.